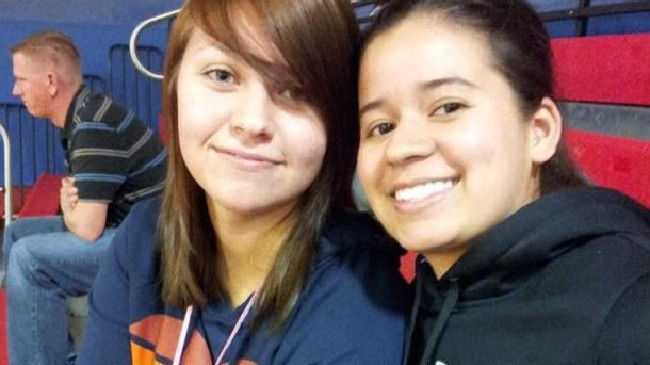 A LESBIAN who was sexually assaulted and shot in the head along with her teen girlfriend who died is suing their assailant for $US500 million ($660 million). Mary Kristine Chapa, filed the lawsuit this week against David Malcolm Strickland in Texas, who was sentenced to life in prison in September for the 2012 crime. Strickland, then 26, stripped Ms Chapa, then 18, and her 19-year-old girlfriend Mollie Olgin, in 2012 before binding their hands, blindfolding them with duct tape and sexually assaulting them before shooting both in the head. They had only been dating a few months but had envisaged a life together. When police were called to the scene the next morning they thought both teens were dead until Ms Chapa sat up. It took two years for police to identify Strickland as a suspect and came about after an anonymous letter to Ms Chapa's father tried to point the finger at a former roommate of Strickland's. That letter, believed to be from Strickland's wife, helped traced the crime back.Ms Chapa has listed both Strickland and his father Larry Strickland in the lawsuit. It says the father "was well aware of his son's violent tendencies, but did nothing to warn others or take action to stop his son's proclivities." The suit claims that the gun used was "acquired due to the efforts" of Larry Strickland. It states the permanent disabilities that Ms Chapa lives with. "She has tunnel vision; she walks with a limp; and she has undergone extensive physical rehabilitation and medical treatment," the suit says. "She will need treatment and substantial assistance with daily tasks for the balance of her life." Ms Chapa remains defiant though, her Facebook profile states "I take bullets".